Every full time undergraduate student is issued a London Transit Bus Pass. This is valid for free unlimited rides, at all bus stop locations, at all hours of operation, seven days a week (including holidays). 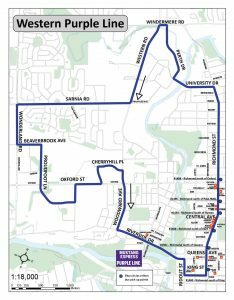 Some will use it simply to ride the 2 Dundas route over and over again each morning to get to class. Others will take full advantage of this opportunity and use this cost-free ticket to experience all the city of London has to offer. 1st, 2nd, and 3rd years: Simply use your Western One Card as your USC Bus Pass. 4th+ years: Pick up your Bus Pass at the Mustang Lounge with your Western One Card during the times listed below. To be eligible to pick up your pass, you must bring your Western student card and be registered as a full-time undergraduate student. If there are any problems with your eligibility status (for example, if you have recently changed from a Part-Time to a Full-Time program), you may be asked to bring your UWO Fee Bill or a letter from the Office of the Registrar indicating that you have been assessed the Bus Pass Fee. Tap your enabled One card or present your paper pass and One card to be able to ride the LTC. First and second-year students should exclusively be using their bus pass enabled One card. Every bus pass is valid from September 1st to August 31st (the entire school year and through the summer). That means that if you are living or working in London through the summer holidays, you can continue to use the bus pass from the previous school year! Losing a bus pass can be frustrating, but the good news is that you shouldn’t have to pay for a new LTC membership. Simply email the bus pass administrator (usc.buspass@uwo.ca ) to ask if your bus pass has been returned to their office. If it has, you can reclaim your pass Monday through Friday between the hours of 9am-11am and 1pm-3pm (with the proper I.D.) You can also check in with Lost and Found at the Campus Police office. If you have lost your student card and bus pass you can replace your One card at Student Central (there will be a replacement fee). Your new One card will be Bus Pass enabled, so you can continue to ride the LTC. You will not need to replace the paper pass. Can I use someone else’s pass? Can I opt-out of the pass? There is no option to opt-out of the USC Bus Pass. It is a mandatory plan, authorized by a student referendum that requires all full-time undergraduate students to participate. However, even if you have a car, the bus pass can come in handy. 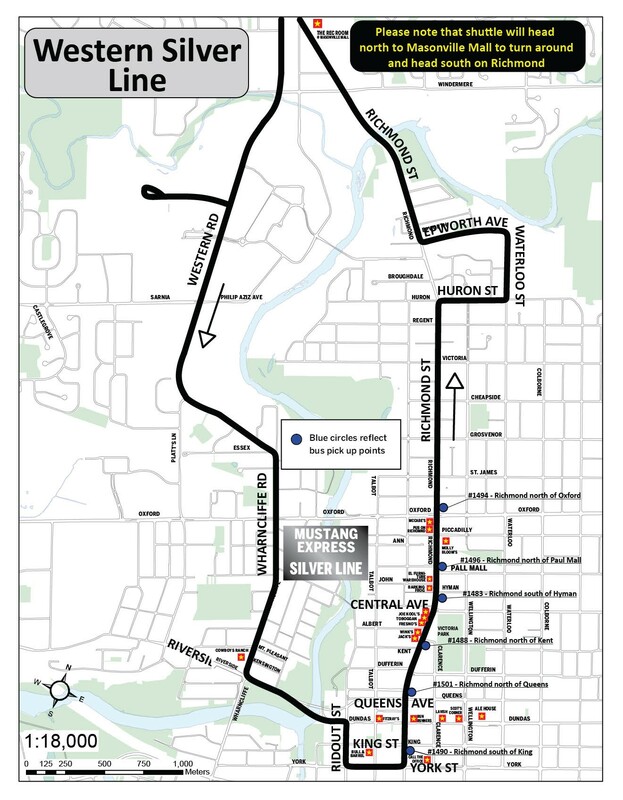 The pass allows you to hop on the Mustang Express, which sure if cheaper than a cab when coming home from Rick McGhie night! 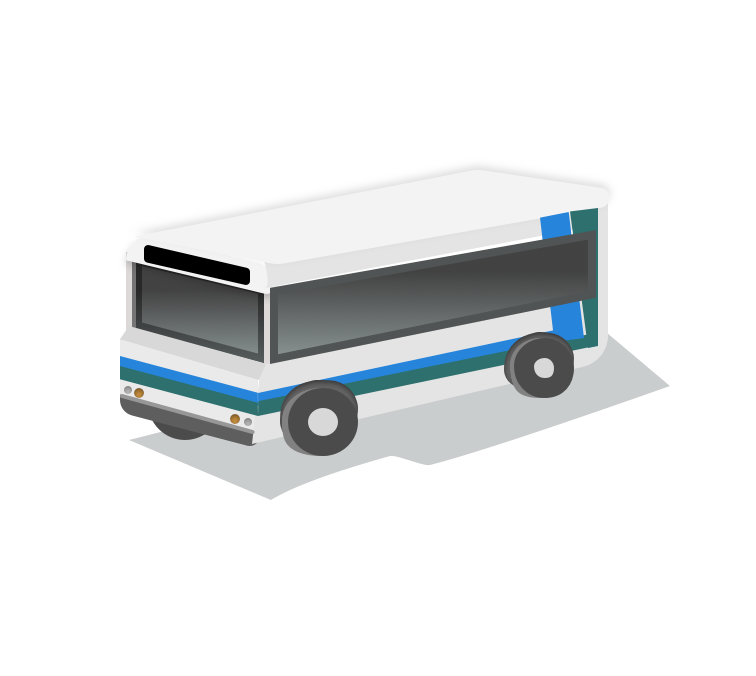 How do I claim the Bus Pass on my taxes? There are no special tax forms issued for the Bus Pass as it is charged along with your Tuition. Please use the online statement of account found at the Student Center (https://student.uwo.ca) as proof of amounts paid. As Bus Pass charges cross tax years, you can claim only one-half the cost on your current return. The remainder must be claimed in the next tax year. Where your USC Bus Pass stops at night, the Mustang Express picks right back up so you can safely get home from the downtown area. All full-time and part time students are eligible to use the shuttle service provided they have their valid UWO Student ID on them. Check out the Mustang Express Pick-Up points so you never have to worry about hailing a cab downtown again. Click to view full size…. Students will only be permitted to board the shuttle at designated Mustang Express pick-up locations. No passengers will be permitted to board the shuttle at designated drop-off locations. Please have a valid University student identification card with Mustang Express sticker attached ready to show to the shuttle driver before entering shuttle. 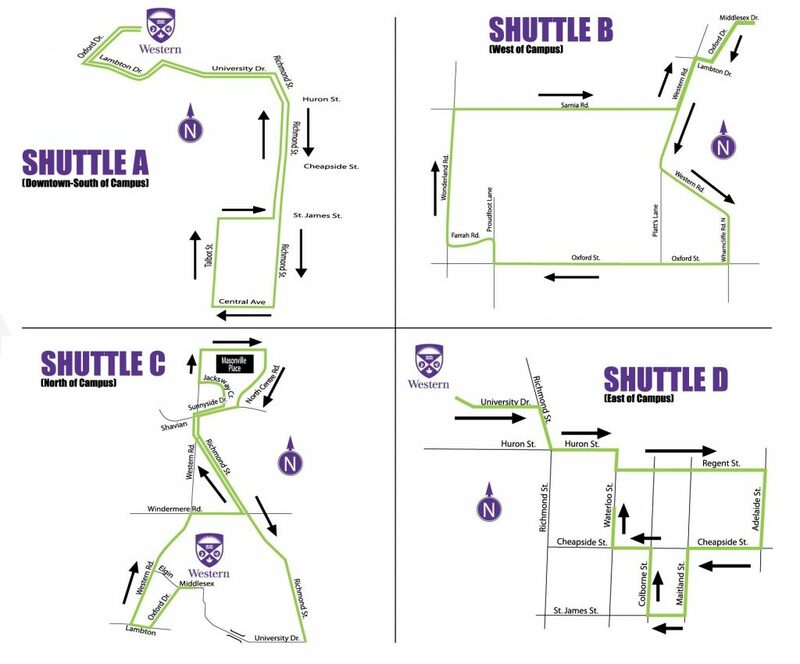 (No one will be allowed to board shuttle without a valid University of Western Ontario Student ID Card or valid temporary pass, no exceptions) Please wait for shuttle to come to a full stop and doors are opened before approaching shuttle bus. Please allow students leaving shuttle to exit first. (This allows the driver to determine the amount of seating available.) Only one person per seat is allowed on the shuttles. Once the shuttle has reached its destination, please remain stationary until the shuttle comes to a complete stop. Please ensure that all items are stored out of the aisles. No eating or drinking is allowed on shuttles. Food or drink must be in a closed container and must remain closed while on the shuttles. Weapons of any type are prohibited on the shuttle bus. Smoking is prohibited on shuttle bus. Please be courteous to the drivers and other passengers and keep your voice levels within a normal speaking range. 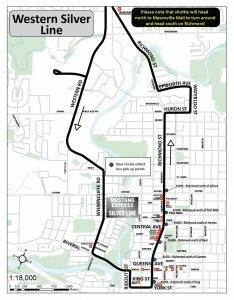 Due to the limited amount of seating for University students and insurance liability issues, no children or non-university students or personnel are allowed to ride on the shuttle bus unless in possession of a valid temporary pass. Animals other than those accompanying visually impaired students are prohibited on the shuttle bus. Threats made against anyone on the shuttle, harassment of anyone on the shuttle, and/or refusal to exit shuttle is prohibited and will be reported to appropriate authorities. Thinking of taking a class at an affiliate but dreading the walk up the Brescia hill or all the way to King’s? Don’t let the distance stop you! 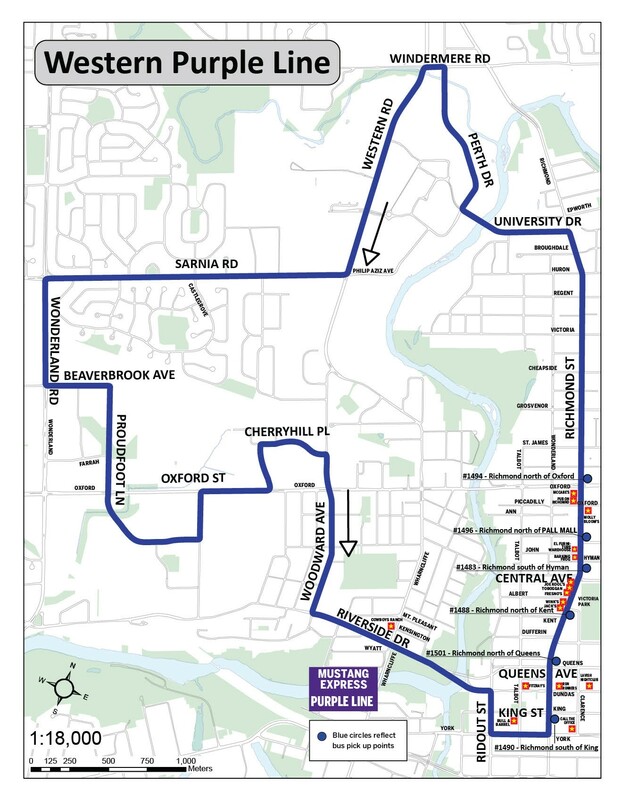 During class times, there is a shuttle bus that connects main campus with both University Affiliate Campuses that lie just outside of our Western bubble so you never have to miss out on a class again. Shuttle details can be found by clicking here. If you’re one of the many students at Western who is not a born and raised Londoner, the USC’s Purple Store is your go-to for trips back to your home town. As a licensed Greyhound ticket agent, you can easily purchase or print student-fare tickets here on your way to class. There are also on-campus pickups on Fridays, so you can make it home right after lecture just in time for the weekend.